The 2016 Best Practices Showcase Gathered More Than 40 Institutions of Puerto Rico and United States. 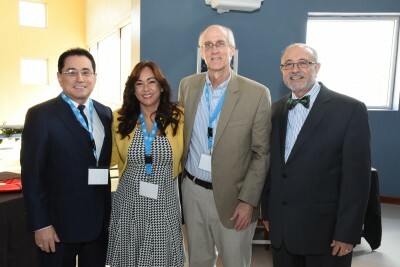 From left to right: Manuel Fernós, Esq., HETS Chairman & President UIPR; Yubelkys Montalvo HETS Executive Director; John Sener, keynote speaker, and Alberto Maldonado, Esq., Chancellor, UNE Carolina. 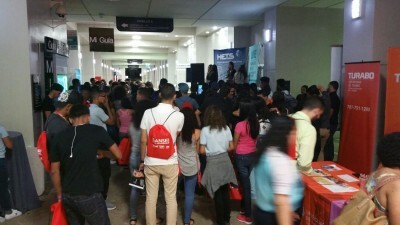 HETS “Celebrated Technology Innovation for Hispanic Success in Higher Education” with its Best Practices Showcase, which took place Thursday, January 14, to Friday, January 15, 2016 at Universidad del Este in San Juan, Puerto Rico. 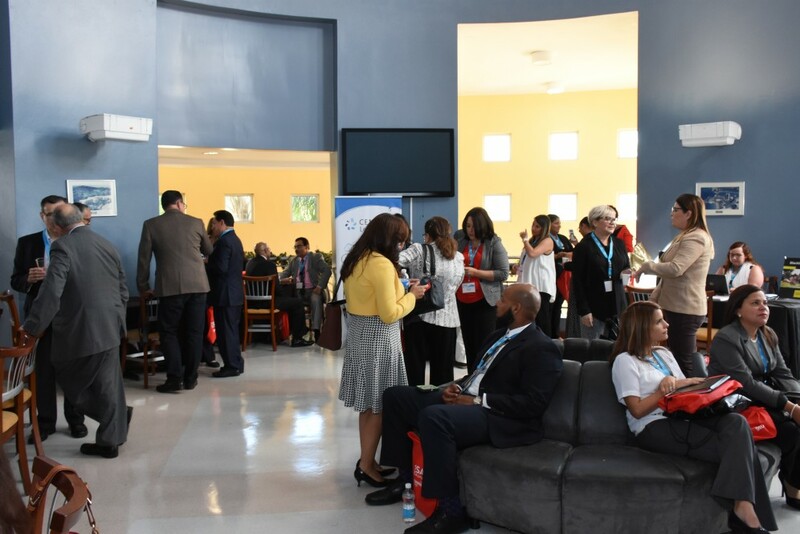 The event allowed the Consortium to bring together more than 40 of its member institutions in Puerto Rico and United States to share innovative projects and best practices. This was the fourth time that HETS was able to have this event for the benefit of attendees from different Higher Education institutions. John Sener, keynote speaker of the 2016 BPS. This year, the Conference featured local and national speakers and showcased more than 30 best practices related to Access and Student Mobility, Retention and Assessment. The conference opened with the keynote speaker, John Sener, Founder and CKO of Sener Knowledge LLC. who shared with the participant an interesting discussion related to the improvement of learning and teaching leading to positive change in education, learning, and society. The also author of the book The Seven Futures of American Education: Improving Learning & Teaching in a Screen-Captured World, related his research to the conference tracks. In addition, as part of the Conference’s program more than 30 best practices were shared with attendees related to the use of new technologies (such as gamification) in the classroom, new tools used to support present and online students, technologies to enhance students’ engagement and success, assessment processes, effective metrics to monitor online retention and integration of social media to the academic atmosphere among others. The videos of all presentations will be available soon at the event page in our website and also at the HETS You Tube Channel. As a value added to participants, Dr. Juan “Tito” Meléndez and Ms. Yahaira Torres, professor and doctorate student of the University of Puerto Rico respectively, presented the results of their research about theory and practice of online education in Puerto Rico. Also during the conference two panel of experts, where showcased including one with the winners of each track; Dr. Doris Vilma Rodriguez from EDP University (retention track winner), Karla González from University of Puerto Rico in Rio Piedras (access track winner and conference’s highest score), and from Hostos Community College, Carlos Guevara and Wilfredo Rodriguez (assessment tack winners). Students during the Academic Fair at UNE, Carolina. main lobby of Universidad del Este. Students and professionals interested in learning more about academic offerings to complete a college degree enjoyed free of charge of this Academic Fair. This time the academic fair reunited more than 200 participants including the group of the Epsilion 2016 class from the Luz América Calderón Birriel High School in Carolina which were the winners of $400 for being the group with the most participants attending the fair. HETS would like to recognize the valuable collaboration of Mr. Alberto Maldonado- Ruíz, Esq., Chancellor of Universidad del Este in Carolina and his staff who made possible the success of this event and make everyone felt like home. For more information about this event, access the Conference webpage on this website, call the HETS Office at 787- 250-1912, extensions 2372 and 2373, or send an email to info@hets.org.